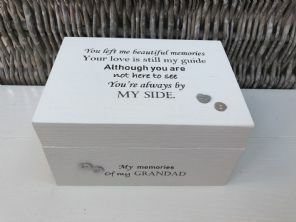 This memory box can be made with any name you require, some examples are shown on the last picture. Husband - Wife - Mum - Dad - Sister - Nana - Grandad etc etc. If you do not specify a name in the message to seller section, when you purchase and checkout, we will make it as shown in the pictures. this box measures 14 x 10 x 7 cm.. 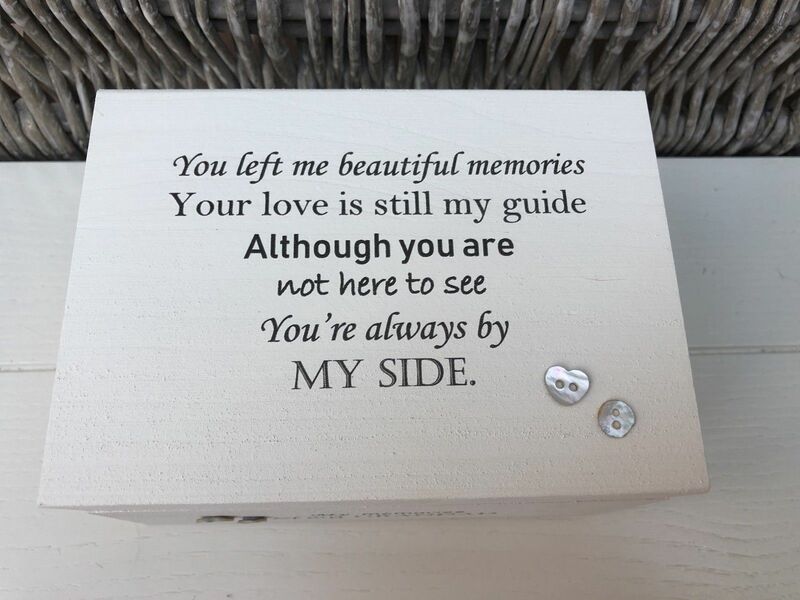 It could also be personalised with different wording of your choice, if you have a different poem or words you would prefer. 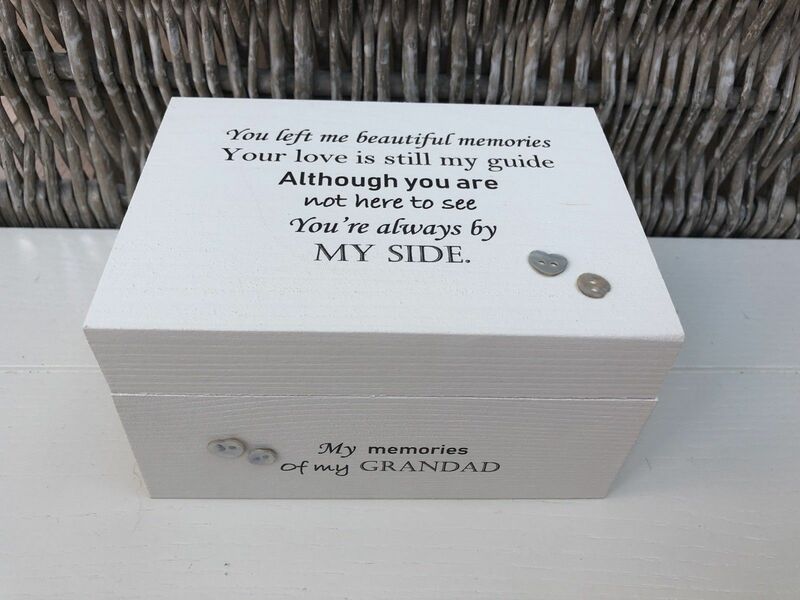 We just ask that it is approximately the same amount of text so we know that it will fit, but if you are in doubt please message us the wording and we will advise if we can fit it on. · Add all of your personalisation details, colour choice, etc in the text box. · Please make sure you always press the ADD button on the text box, as otherwise these details will not be added to your order form, and will not be sent to us. PLEASE ALSO MAKE CLEAR AND DOUBLE CHECK THE TEXT THAT YOU SEND US, AS WE CAN NOT BE HELD RESPONSIBLE FOR ANY TYPO'S / SPELLING OR GRAMMAR MISTAKES THAT WE ARE SENT. THE WORDING THAT YOU SEND WILL BE THE EXACT WORDING THAT YOU RECEIVE. 24 HOURS OF YOUR PURCHASE, THE ITEMS WILL BE SENT WITH NO PERSONALISATION. 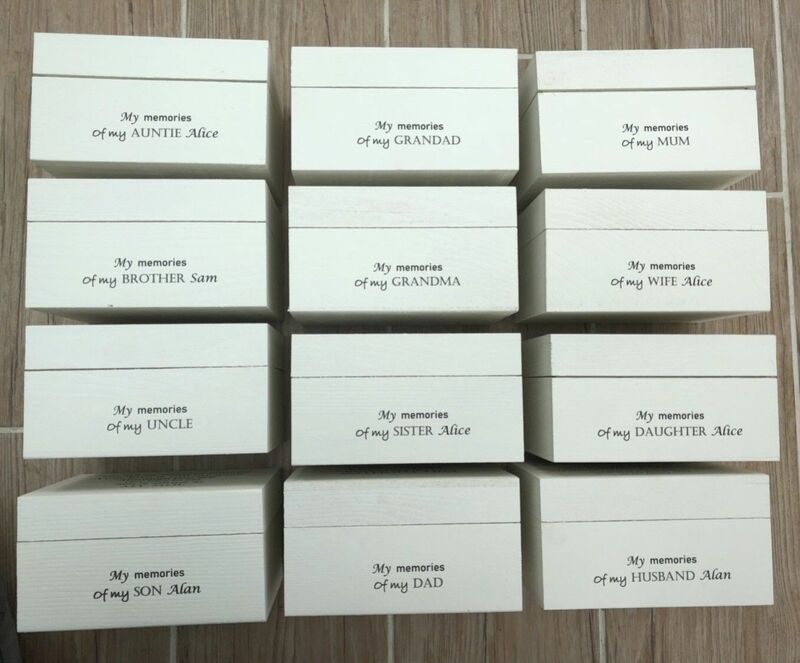 SOMETIMES YOU MAY LIKE THE ITEM AS IT IS IN THE PHOTO AND WITHOUT ANY PERSONALISATION. IF THIS IS THE CASE, IT WOULD SPEED UP THE DESPATCH PROCESS FOR YOU IF YOU SEND US A QUICK EMAIL TO STATE THIS. IT IS WHOLLY YOUR RESPONSIBILITY TO SEND ANY DETAILS REGARDING YOUR PURCHASE WITHIN THE 24 HOUR TIME FRAME, AS REGRETTABLY WE DO NOT HAVE THE TIME TO CONTACT EVERY INDIVIDUAL CUSTOMER TO REQUEST THEIR REQUIREMENTS. BEFORE SENDING YOUR PAYMENT AND WE WILL ADJUST THE POSTAGE COSTS BEFORE YOU PAY, AS THIS CAN NOT BE DONE AFTER PAYMENT IS RECEIVED. We always aim to send all goods within 1-2 working days from receiving payment and personalisation details. However at busy periods this is not always possible, so please allow 7-10 days. 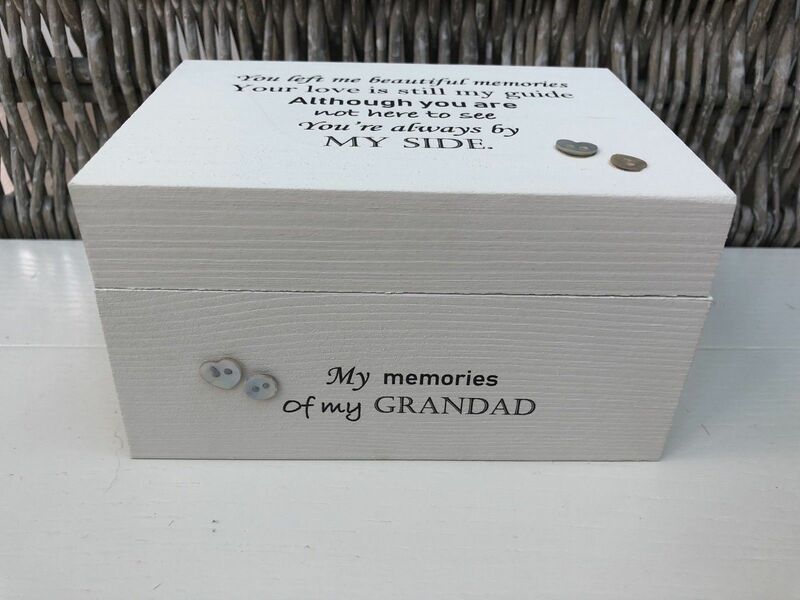 © shabbychic-personalised.co.uk - All Rights Reserved.